"PC gaming has been hounded by an ominous narrative for almost as long as it's existed: it's dying, soon to be replaced by smaller, more convenient, more consumer-oriented gaming devices, or even phones. Recently, this idea has completely gone out the window: $1000 video cards are flying off the shelves, exciting and demanding new technologies like 4k and VR are on the horizon, and gamers are upgrading in accordance." Gaming gear sure is booming! Just take a quick look at our ranges of mice, keyboards, eyewear, racing wheels, joysticks, head trackers & gamepads. That's aside from the PC hardware... Such as graphics cards, motherboards & cases! "We were waiting with bated breath for the "mainstream" NVIDIA GTX 950 to see how well it runs, we’ve had it on the test bench for a while and at its price point the ASUS Strix GTX 950 DC2OC does one heck of a good job with more than demanding games. 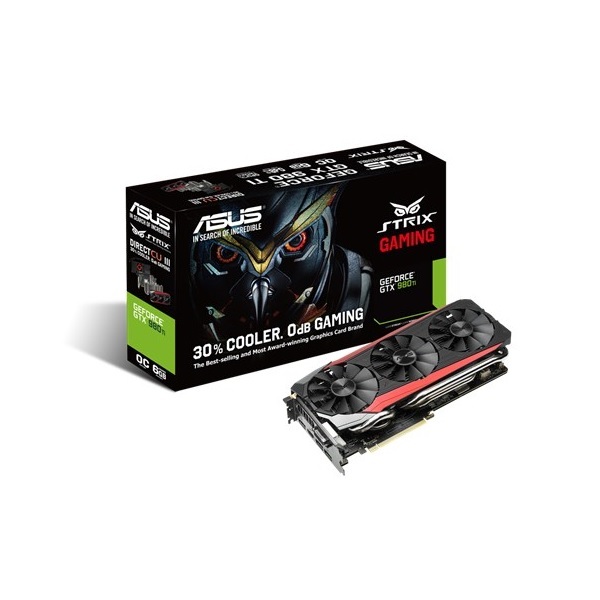 The 2GB of GDDR5 might be a problem at resolutions over 1080p but most of the world still games at 1080p and the ASUS Strix GTX 950 DC2OC is the current master of 1080p at its price point. Considering you’re getting a true Maxwell CM206 that’s DirectX 12 and Windows 10 ready the ASUS Strix GTX 950 DC2OC could very well be the Video Card of choice among budget minded gamers." ASUS STRIX-GTX950-DC2OC-2GD5-GAMING graphics card review by Bjorn3D - Introduction & Conclusion. Bitfenix Alchemy 2 LED Strip Examined By Modders Inc - Noob Friendly! "Overall, this is a great addition to Bitfenix easy modding accessories and a solid alternative to those who are adhesive averse, especially since magnetic mounting makes installation and re-use extremely noob friendly." Bitfenix Alchemy 2.0 LED strips reviewed by Modders Inc - Full review. The Creative Soundblaster Jam headset is now in stock, alongside a huge range of Creative headset options. "As the mid range standard bearer for ASUS ROG line, the Maximus VIII Hero does not disappoint in the least. It does just about everything well. Starting with the performance delivered out of the box, the board delivers top marks in most of the tests thanks to the back end work that ASUS' R&D team put in getting the auto algorithms and settings right. Booting up with four DDR4 2800MHz DIMMs populating all of the Q-Dimm sockets just worked as if it was nothing. Failed overclocks that lock up the board in the boot cycle at worst require a power cycle of the PSU to bring the board back on line after a failed boot. Something that now is an expectation for all boards due to how well ASUS manages boot failure and recovery." ASUS Maximus VIII Hero motherboard review by OverclockersClub - Introduction & Conclusion. "The cavernous interior of the Suppressor F51 case will allow for various configurations, and the sound absorption materials used in the top and sides panels should provide a quieter computing experience. With the included front 200mm fan providing the air flow for the interior components and the rear 140mm fan to draw the heated air out of the case, the computer system should stay cool and operating at peak efficiency even during load. Devoid of the exterior frills of other gaming cases, the Suppressor F51 lends a demure presence on your desk or floor. Of course with the side window version you have the opportunity to add your own eye candy with a custom LED lighting setup. For many years Thermaltake has provided computer users and enthusiasts many reliable products. Thermaltake has a stated mission of “Delivering the perfect user experience” and the Suppressor F51 mid-tower case certainly continues that legacy." Thermaltake Suppressor F51 review by Neoseeker - Introduction & Conclusion. HotHardware Review The ASUS MG279Q Monitor - And Like! "We really like the ASUS MG279Q. This display hits a plethora of high notes; it supports Adaptive-Sync / FreeSync, is highly adjustable and tweakable, it has plenty of inputs, a nice IPS panel, and supports up to a 144Hz refresh rate. And on top of all that, its relatively thin bezels and sleek design language just plain look good too. If you haven’t bought a monitor in a few years, the ASUS MG279Q is most likely an upgrade in almost every way for the vast majority of you." ASUS MG279Q IPS Technology monitor review by HotHardware - Introduction & Conclusion. "One thing that stood out to me was the improved ease of installation for the TD02-LITE, which was a welcomed improvement. Overall, the SilverStone Tundra TD02-LITE is solid. It is well built from the radiator to the water pump, with nothing feeling cheap." Brian Cheung - APH Networks. SilverStone TD02-LITE review by APH Networks - Introduction & Conclusion. Joanne Tech Lover Finds A Hero - The ASUS Maximus VIII Hero! The ASUS Maximus VIII Hero motherboard is now in stock! "for those who want to check their email one last time before slumber, the amber tinted eyewear from Gunnar helps reduce eye strain and blocks the blue light from mobile devices." Gregory Schmidt - New York Times. Gunnar amber indoor eyewear discussed by the New York Times - Read the full article. Read the Australian Governments Top Tips: Some great ideas to stay smart online guidelines. "I wasn’t entirely sure what to expect with the FTZ01, and I ended up pleasantly surprised. There’s a lot contained within the tiny frame of this Fortress. If you’re looking to build a typical one-GPU ITX gaming system in as small of a case as you can, the Fortress FTZ01 is a very compelling option with a premium touch." SilverStone FTZ01 SFF chassis examined by BenchmarkReviews - Introduction & Conclusion. Water Cooling 101 With Techspot - Get Tips For Great Results! "Cooling computers has evolved in the last ten years to the point where there are more options to satisfy all kinds of needs. All in One (AIO) water cooling kits in particular have gained popularity among users who want push frequencies higher while keeping their CPUs cooler. They're very easy to get started with as they are mostly plug and play. While things have gotten easier in the water cooling game, there are still many things that need to be taken into consideration before jumping in to ensure you can get the most performance from your own system. After years of working with water cooling kits, here are some important tips to help you get the most out of your system." Water Cooling Do's and Don'ts by TechSpot - Full article. "The BitFenix AEGIS micro-tower case has proven to be a really fun enclosure to work with to build a complete computer system. When I saw the vibrant yellow color, large component side window and black front panel, I thought how well a nice setup would look on my desktop. After a couple of weeks, I'm as intruiged as the day I opened the packaging." Bitfenix Aegis chassis review by Neoseeker - Introduction & Conclusion. "The ASUS MG279Q is a solid 144Hz gaming monitor and we were impressed by how well AMD FreeSync ran... If you are looking for a 2560×1440 Adaptive-Sync gaming monitor that has fantastic picture quality, a wide range of features and the ability to support AMD FreeSync we highly recommend the ASUS MG279Q!" ASUS MG279Q 27-inch WQHD IPS FreeSync monitor review by LegitReviews - Introduction & Conclusion. "the V21 has two very important characteristics, the ability to rearrange most of its interior and exterior and the overwhelming cooling potential. The first one may not be something many users will choose to use since the horizontal positioning of the mainboard is already ideal for the size of the V21 but the 2nd one is certain to appeal not only to gamers and enthusiasts but even professionals since the ability to use up to 5 radiators and/or 11 fans is something we don’t see even in towers 3-4 times the size. And then there’s the stackable design, almost tool-less design, the 6 drive trays, 5 PCI expansion slots which can be used with cards up to 350mm in length, room for up to 185mm tall CPU coolers and space for up to 200mm long PSUs. Can you ask for anything more from a mATX/mITX PC Case?" Thermaltake Core V21 chassis review by NiKKtech - Introduction & Conclusion. ASUS STRIX-GTX970-DC2OC-4GD5 Graphics Card Review By Think Computers - Perfect 10 - Yes Yes! "All in all I think that ASUS has done a great job putting their own flavor on the GTX 970. It is a card that we can definitely recommend!... Overall ThinkComputers gives the ASUS STRIX GeForce GTX 970 Graphics Card a 10 out of 10 score and our Recommended Award." ASUS STRIX-GTX970-DC2OC-4GD5 GeForce GTX 970 review by Think Computers - Introduction & Conclusion. Modders Inc Report Bitfenix Aegis Chassis A Must Have! "It is fun, provides colorful options, has a roomy interior but do not mistake it for a clown car. There is enough luxury inside to shame some pricier rivals and there are some serious innovative ideas implemented that will surely be imitated by other manufacturers soon." Bitfenix Aegis chassis review by Modders Inc - Introduction & Conclusion. "Nintendo President and CEO Satoru Iwata has died at only 55 years old after battling cancer for over a year. His unexpected passing marks the end of a wildly inventive and broadly celebrated 13-year stretch helming the iconic Kyoto video games company." - TIME. Take a moment to think back over the influence Nintendo had in your life since he joined the company in 2000. Think Nintendo DS. Think Nintendo Wii. His extraordinary contribution to the video gaming industry will be sadly missed and he will be long remembered! Read more at TIME and the BBC. 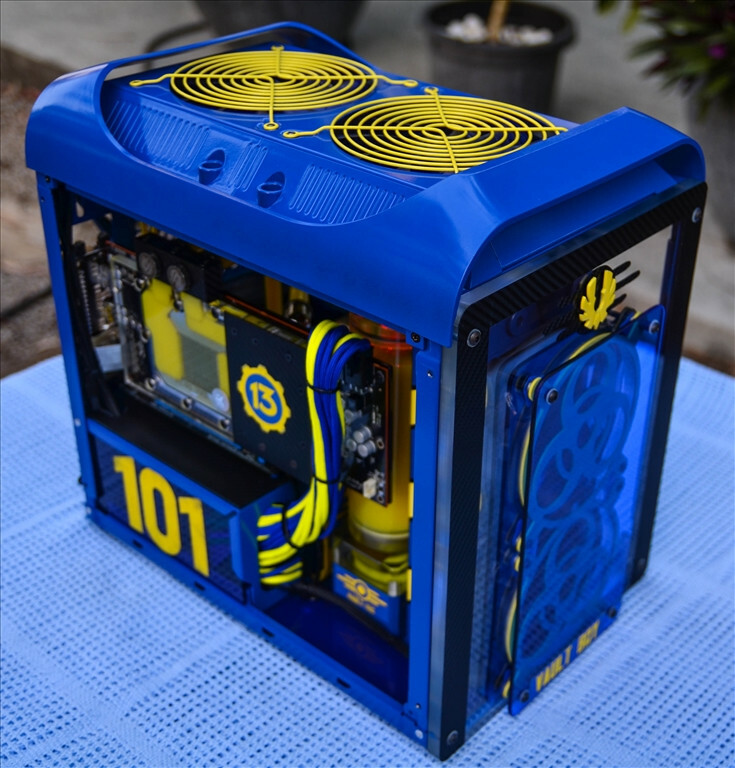 Check out this awesome Bitfenix Prodigy chassis mod on the OCAU forums (login not required). How creative can you be? "I’m not sure what to say other than “WOW!” Noctua absolutely blew me away with this cooler, not only in the simple things like the packaging, but the ease of installation and the performance results were absolutely incredible." Brian Nyhuis - Legit Reviews. Noctua NH-D15 CPU cooler review by Legit Reviews - Introduction & Conclusion. "The Ventus X is one redesign that really hits all of the check boxes! The feel is great, it functions really well with tons of options via software, and at this price you really cannot go wrong." Thermaltake eSPORTS Ventus X review by TweakTown - Introduction & Conclusion. "Commander FT has a very solid feel, and even when pressing hard on the touchscreen, there is no flex or noises associated with such actions. We also liked that the wiring is easy to disconnect and plug back in, not only for wire management purposes, but it also ensures that you won't accidentally pull the wiring out of the clips if you do find reasons to remove any of them from the PCB." Thermaltake Commander FT fan controller review by TweakTown - Introduction & Conclusion. "The R7 370 STRIX is yet another good custom card from ASUS. The DirectCU II cooler, which is capable of deactivating the fans, when the cards is in idle does a great job. Apart from that there is a high quality power design and memory, which can be overclocked by quite a bit. AMD has been claiming that the R7 370 should be suitable for 1080p gaming. Having a closer look at the results gathered in 10 different games, this is definitely the case. The card is capable of pumping out 40 to 50 fps even at very high settings." ASUS STRIX Radeon R7 370 review by OCaholic - Introduction & Conclusion. "the Noctua NH-L9x65 shows some very positive signs when it comes to it’s overall construction. The mounting mechanism is sturdy and showed no signs of flex. The fins on the heatsink were not easily bent, and are protected by the fan at the top. There were also no flaws on the base plate of our sample, which should result in better performance." Julian Duque - Benchmark Reviews. Noctua NH-L9x65 cooler checked out by Benchmark Reviews - Introduction & Conclusion. "Noise is always a factor to look at in coolers regardless of performance, and I found the TD03-E to be fairly reasonable in this regard. Even when the system was loaded, and the cooler had to work extra hard to keep temperatures down, it did not fuss too much." SilverStone Tundra Series TD03-E review by APH Networks - Introduction & Conclusion. "the SilverStone Tundra TD02-E is a great performing closed loop water cooling unit. The results reflect this perfectly; especially when under load, as seen in the graphs on the previous page. Compared to the Cooler Master Nepton brothers, the Tundra was clearly a truck length ahead. I found the Tundra TD02-E's overall design to be very clean, and is very appealing to look at, especially with its blue LED on the water block." SilverStone Tundra TD02-E AIO cooler review by APH Networks- Introduction & Conclusion. Mittoni and Silverstone are offering a reseller rebate program to reward our customers and celebrate the Winter months. The program is based on customer’s quarterly purchase on all Silverstone products including accessories starting 1st of June till 31st of August for a period of 3 months. > SilverStone Target (ex gst) - Rebate %. Let us see how you can carve yourself some rebate this Winter with Mittoni and SilverStone! For further details please don’t hesitate to contact your account manager. Thermaltake Suppressor F51 Mid Tower Has TweakTown In A Flap! "the Thermaltake Suppressor F51 has to be the most feature rich "standard" tower design chassis that Thermaltake has released in quite some time, and if you have not been taken by the Core series, or other various offerings that Thermaltake has to offer you, now is the perfect chance to dive right in feet first, because at $119.99, you are hard pressed to come up with something as feature rich and solid as the Suppressor F51 is." Thermaltake Suppressor F51 review by TweakTown - Introduction & Conclusion. "the Noctua NH-L9x65 low-profile CPU cooler easily earns the Bigbruin.com "Recommended" award for providing excellent cooling results in a compact package, and the "Whisper Quiet" award for doing so without making much noise at all." Noctua NH-L9x65 review by BigBruin - Introduction & Conclusion. Thermaltake Core V51 chassis review by 3DGameman. A 'real life' lap positioned side by side with a 'simulated' lap from the Project Cars game.... With that kind of detail we can sure understand why this title is revving motor enthusiasts to a frenzy! Perhaps you should stop by the garage and see what we've got cookin? Mmmmmmm.... Smells like victory! SilverStone Kublai KL05 review by 3DGameman. "thanks to its ergonomic ambidextrous design, fast and accurate laser sensor, rechargeable battery that gives it up to 20 hours of life, the ability to use it wired and the charging base it's one of the top wireless gaming mice"
Steelseries Sensei Wireless mouse review by NikkTech - Introduction & Conclusion. Learn more about the SilverStone Tundra TD02-E AIO cooler.